*1:Leucht S, Samara M, Heres S, Patel MX, Furukawa T, Cipriani A, Geddes J, Davis JM. Dose Equivalents for Second-Generation Antipsychotic Drugs: The Classical Mean Dose Method. Schizophr Bull. 2015 Nov;41(6):1397-402. doi: 10.1093/schbul/sbv037. Review. 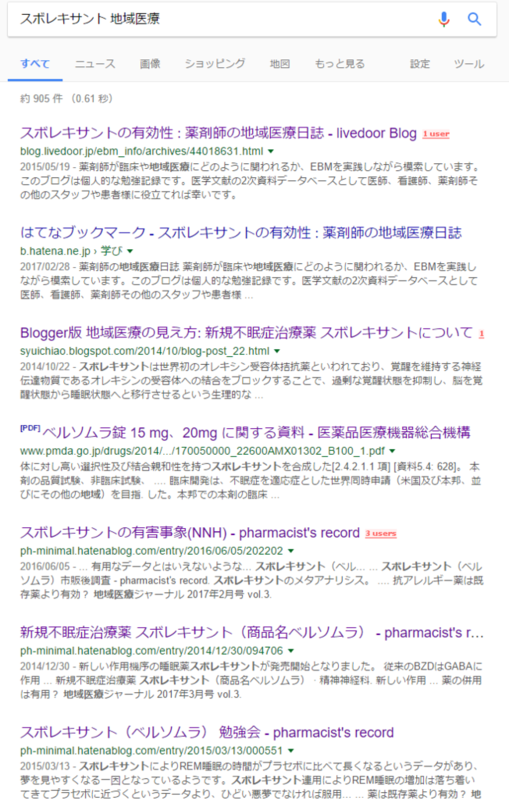 PubMed PMID: 25841041; PubMed Central PMCID: PMC4601707. *2:Citrome L. Suvorexant for insomnia: a systematic review of the efficacy and safety profile for this newly approved hypnotic - what is the number needed to treat, number needed to harm and likelihood to be helped or harmed? Int J Clin Pract. 2014 Dec;68(12):1429-41. doi: 10.1111/ijcp.12568. Review. PubMed PMID: 25231363. *4:Michelson D, Snyder E, Paradis E, Chengan-Liu M, Snavely DB, Hutzelmann J, Walsh JK, Krystal AD, Benca RM, Cohn M, Lines C, Roth T, Herring WJ. Safety and efficacy of suvorexant during 1-year treatment of insomnia with subsequent abrupt treatment discontinuation: a phase 3 randomised, double-blind, placebo-controlled trial. Lancet Neurol. 2014 May;13(5):461-71. doi: 10.1016/S1474-4422(14)70053-5. PubMed PMID: 24680372. *5:Kishi T, Matsunaga S, Iwata N. Suvorexant for Primary Insomnia: A Systematic Review and Meta-Analysis of Randomized Placebo-Controlled Trials. PLoS One. 2015 Aug 28;10(8):e0136910. doi: 10.1371/journal.pone.0136910. Review. PubMed PMID: 26317363; PubMed Central PMCID: PMC4552781.